Laser Hair Removal is a dermatologist performed procedure within a specialized room using protective eye gears and so on. Statistics show that 85% of the celebrities worldwide have ever opted for laser hair removal due to its efficacy. Rather than the razors, waxing, hair removal creams, and the use of threads on the skin, the laser hair removal procedure is much more friendly and produces longer results to individuals. Celebrities like Kim Kardashian, Eva Longoria, Jennifer Lopez, Kanye West, and many more are not shy about their laser experiences. Studies show that the procedure is more productive in individuals with dark hair, but light skinned as well as those with blonde, red, grey, or white hair. An evaluation is essential before the procedure. The procedure delivers results, mostly depending on the quantity of hair on the skin and the number of procedures taken. 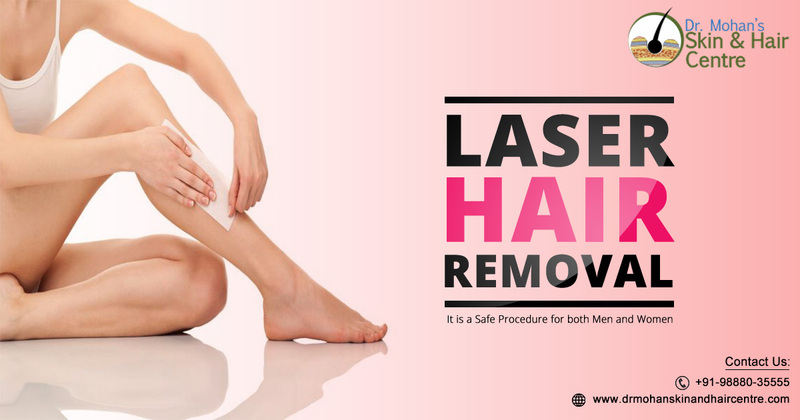 It must be known that laser hair removal in India is not a permanent solution for body hair, but it reduces the rate of hair growth and as well produces long lasting results. The treatment is done by a professional doctor after a numbing gel is applied on the skin to be treated. Usually, the dermatologist will question you about the usage of any tanning cream or procedure you might have undergone in the past. There must be no scars since both tanning and scars, reduce the results.